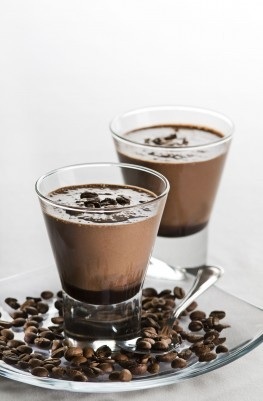 Healthy dessert smoothie recipes for weight loss... Can it be so? I don't know about you... but creamy sweets are my weakness. Unfortunately, they are usually stuffed with sugar, cream, chemicals, and preservatives. The worst part is that I usually can't stop snacking until it's gone. In my quest for health, I didn't want to completely eliminate treating myself... I kept searching for healthier versions of those creamy treats I craved. That's when I started blending up nuts, coconut, dates, etc. These smoothies were the answer! Are they as healthy as a green smoothie or fruit smoothie? Looking at the nutrient density... no. But if you avoid other harmful junk foods because you have a healthier alternative, it is a BIG step forward. 1. Blend and Blend Again! 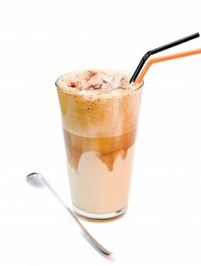 Make sure that all of the ingredients are blended smooth before adding ice or other frozen ingredients. Otherwise you may have a gritty texture instead of a creamy smoothie. A combination of stevia and dates sweetens and thickens a smoothie to perfection. In the past, I've used all dates... but I realized there were way too many calories with so many dates. Then I tried sweetening with just stevia. Stevia powder does not bulk up the smoothie like the dates do. After hundreds of different smoothies... I've come up with a solution. Use both! You get the thickening and the sweetness from less dates and a little bit of stevia. FABULOUS! Ran out of dates this week like I did? I've found that nutsonline.com have some of the best bulk pricing on dates and stevia powder. 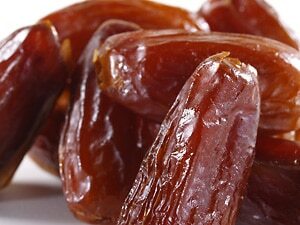 Note: If your dates are firm, soak them in the liquid for about an hour before blending. Out of all of the healthy smoothie ingredients that I've tried for a dessert smoothie recipes for weight loss, I think this one is at the top. You must be careful not to add too much. More is NOT better! Psyllium powder soaks up a lot of liquid and can gel up. I even use it to thicken up homemade ice cream and other desserts. Find out how psyllium fiber can help you lose weight. For an average 2-3 cup smoothie use about 1/2 tablespoon psyllium husk powder. Don't have any psyllium in your pantry? Buy it at mountainroseherbs.com at a low price. *If you like extra strength coffee, freeze your extra coffee in ice cube trays. Then use in place of your regular ice cubes. I hope that these tips and smoothie recipes for weight loss will satisfy your cravings while trimming down your waistline.